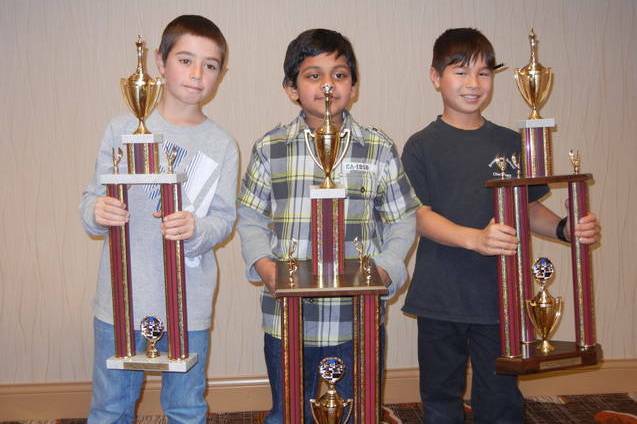 12.18.11 Ian Youth, a student at the Breakwater School in Portland, finished second in the elemantary section of the 8th Annual New England Scholastic Chess Championships held on December 10th-11th, 2011 in Windsor Locks, Connecticut. With only one loss in seven rounds Youth, the only Maine player at the event, scored 5.0 points. Ian with his well-earned Christmas present. That is a magnificent Christmas tree your standing next to and the trophy looks to be a great way to build up your biceps . See you in Orono . Way to go Ian! Congratulations on an excellent showing.